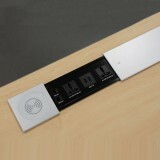 Easy to fit on wall. Top Hanging brackets to be fitted on the wall at desired height & spacing with the wall plugs & screws provided with the fitting as shown in Fig.1. 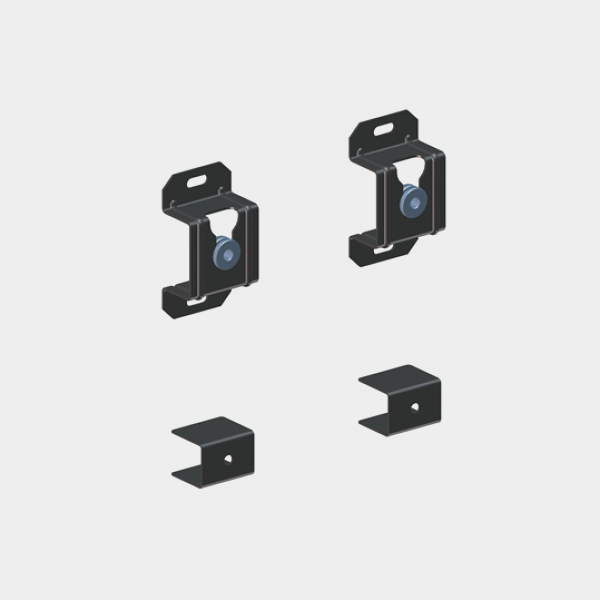 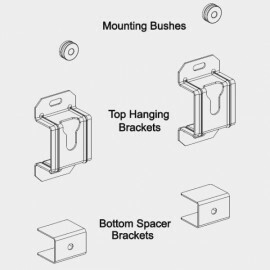 Spacer Brackets & Mounting Bushes to be fitted on back of TV as shown in Fig.2. 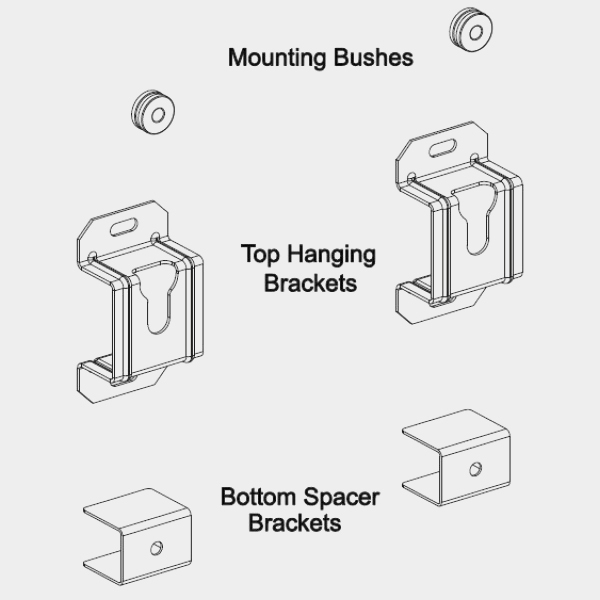 Hang the TV onto the Top Hanging brackets as shown in Fig.3.